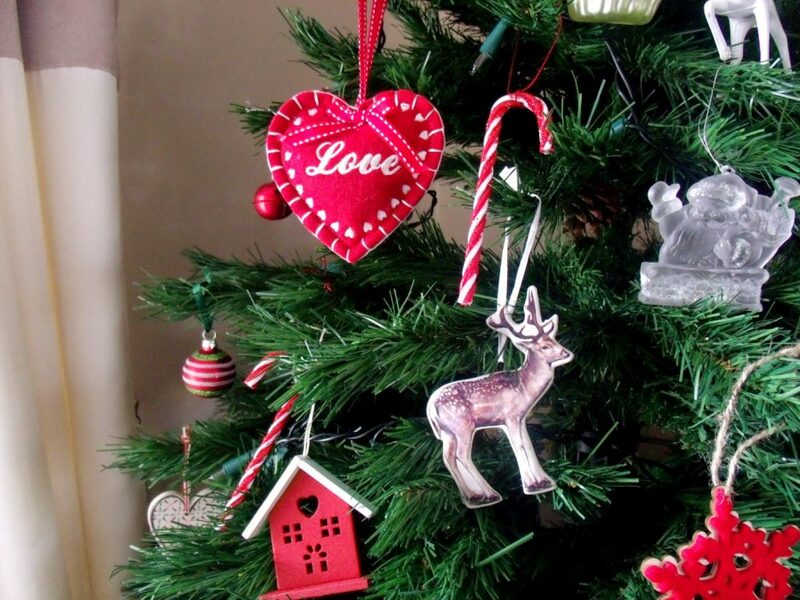 I’m not quite finished with all my Christmassy blog posts just yet! 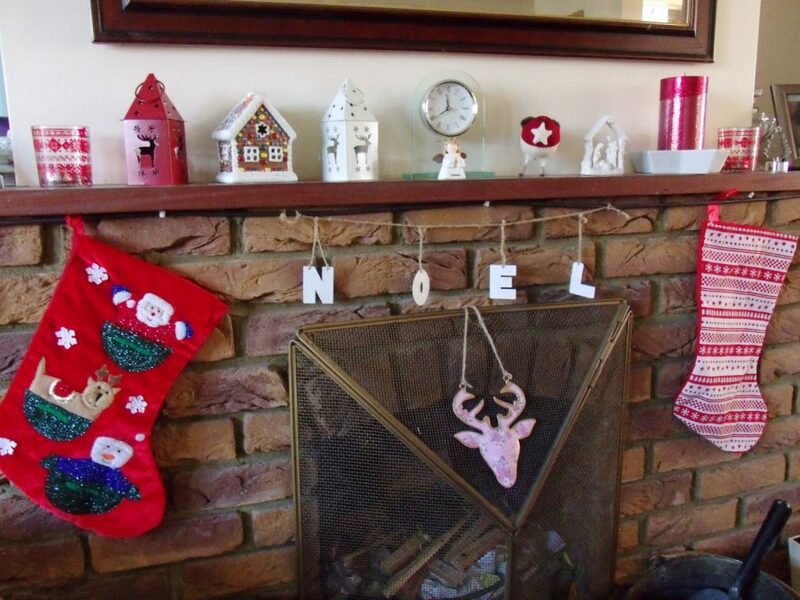 I wanted to show you all of my decorations and pretty festive things that we’ve got up around the house. 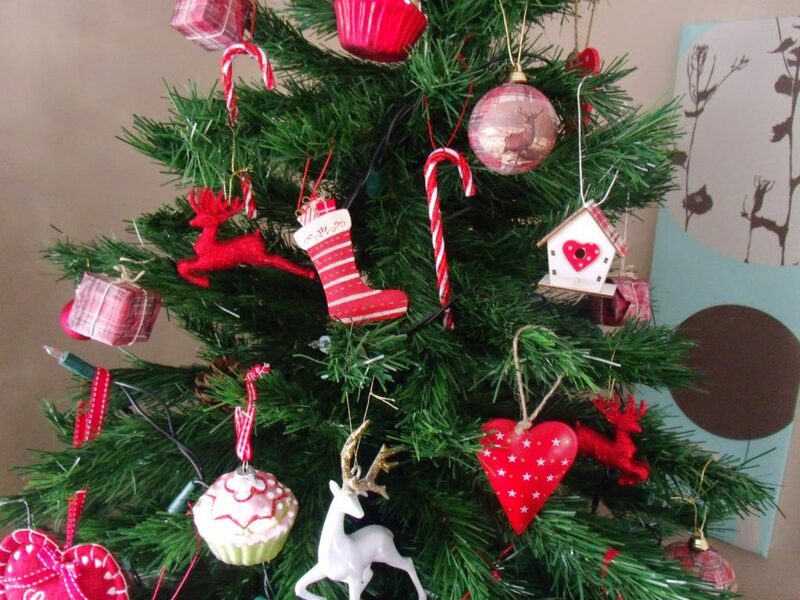 We put your Christmas tree up the first weekend of December, but I kept on adding to it as I kept on buying new things.. oops! It’s finally finished now and I’m so happy with it. 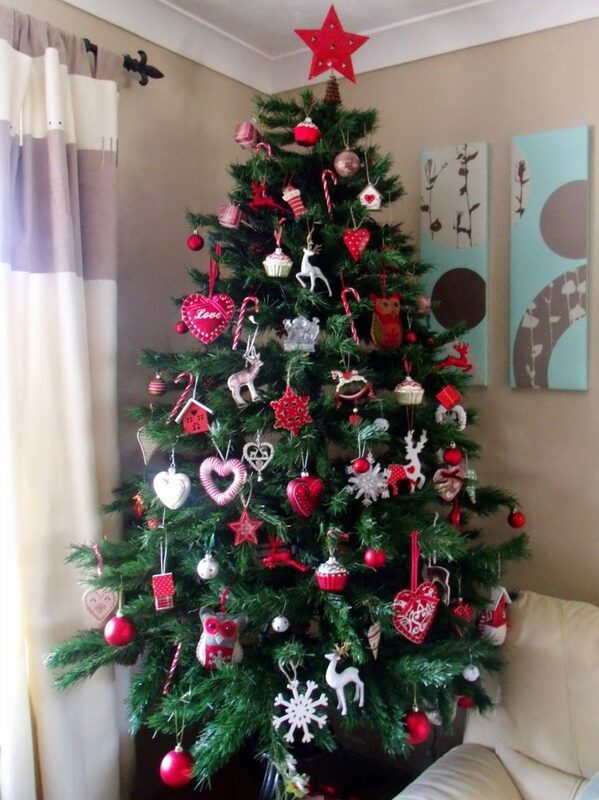 The decorations are from a mix of shops; mostly Home Bargains, Poundland, and DotComGiftShop. 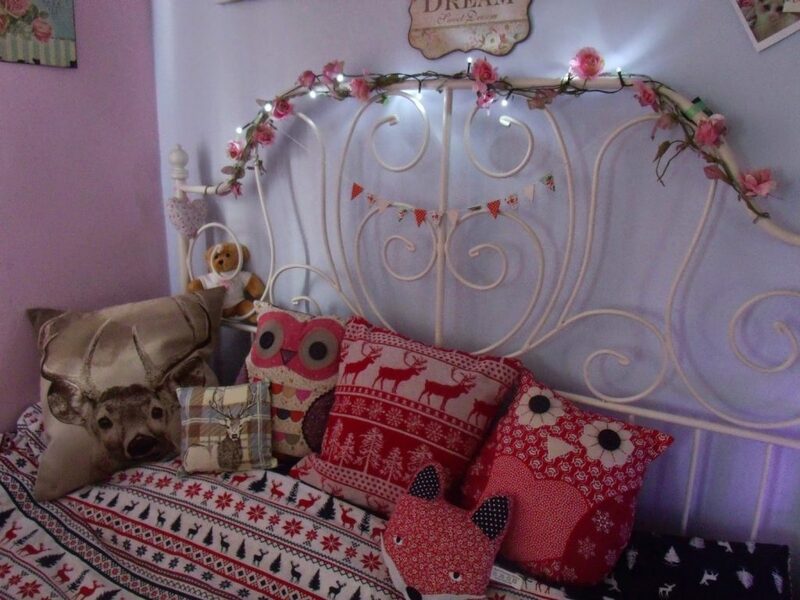 The candy canes were only £1 for 6 from Tesco, and the stuffed felt owls are from Dunelm. 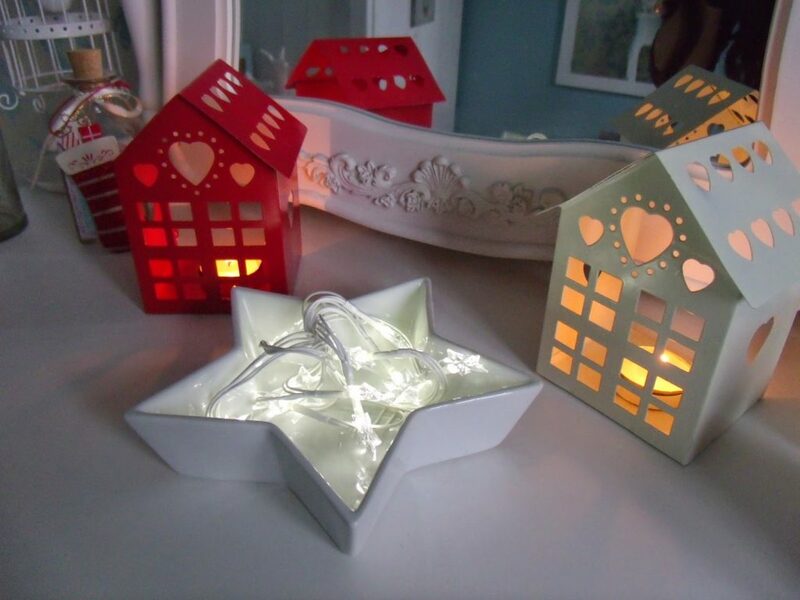 These were all from Poundland; the cottage tealight holders look beautiful lit up, and I put the star shaped fairy lights into the star dish. 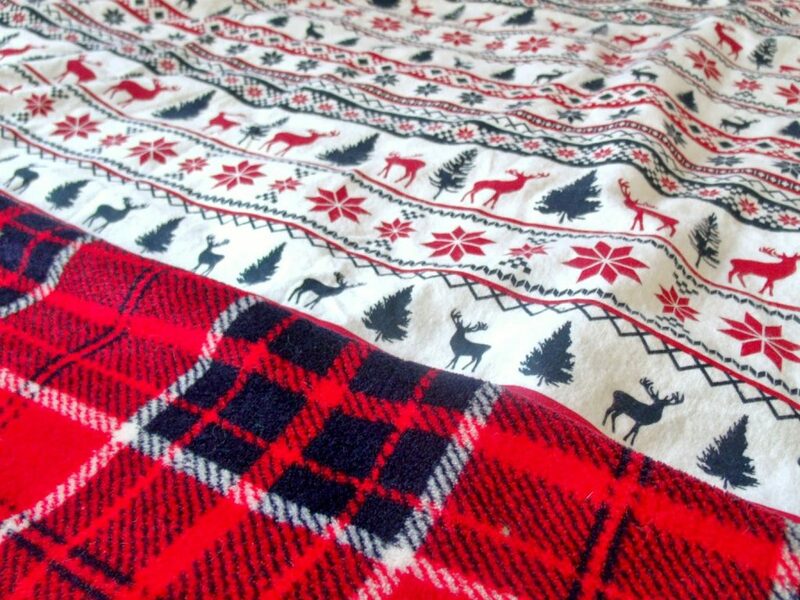 My new winter bedding is super cosy and homely! 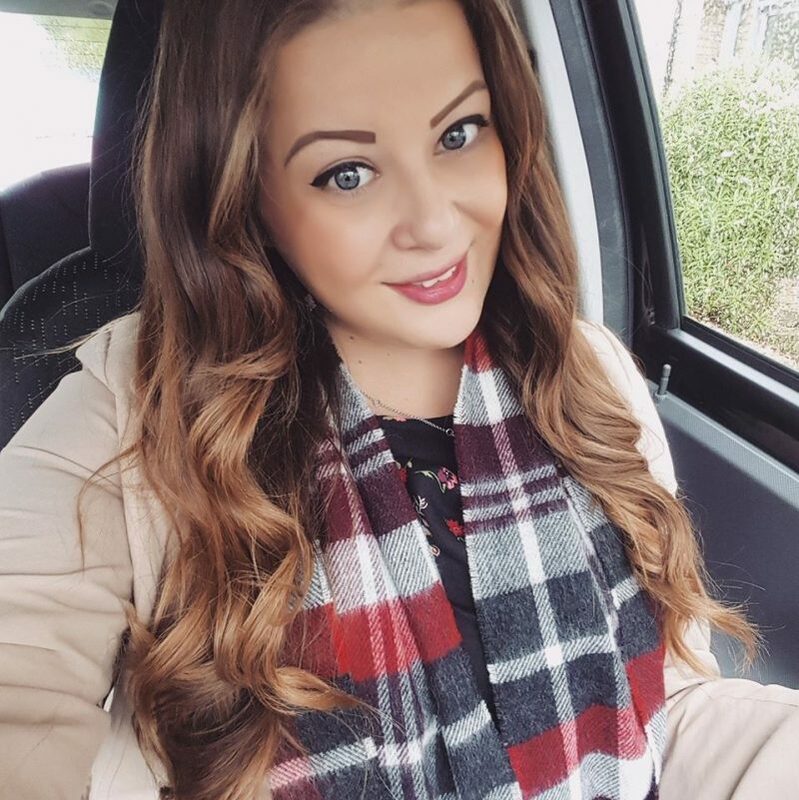 The bedding set was £16 from Primark, and the tartan fleece throw was I think only £3. 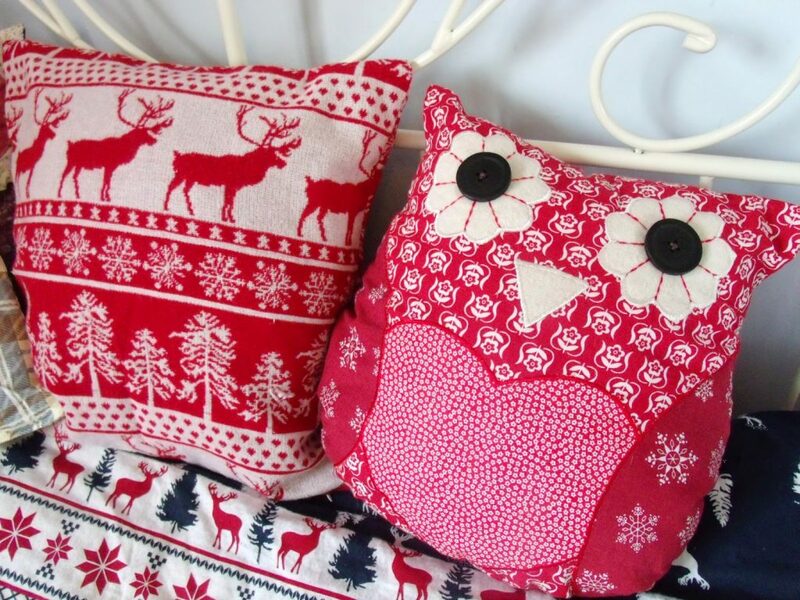 I added some new wintery themed cushions including the stunning red owl cushion which matches my old purple one! It has snowflakes on the patchwork fabric and it fits in nicely. The red fairisle knitted cushion features Christmas trees and reindeer and is really comfy. 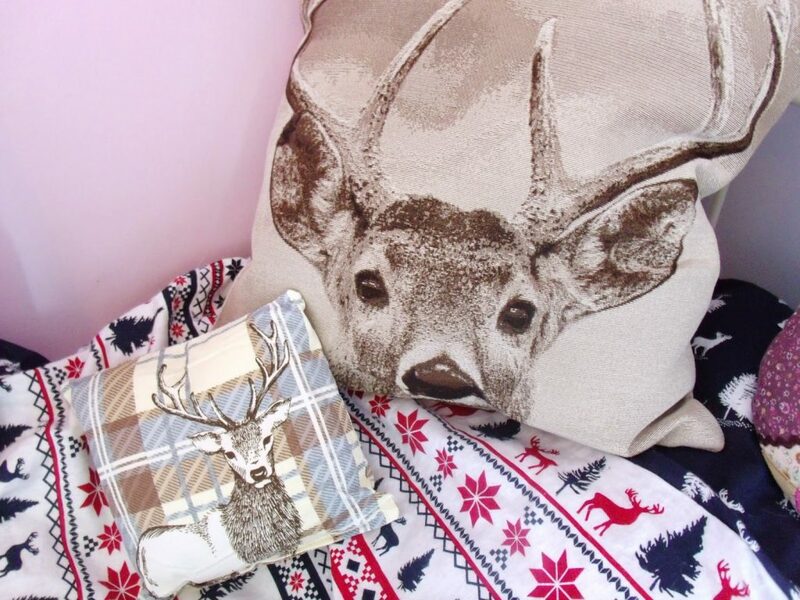 I also have the new reindeer cushions from Dunelm, one big and one is mini! I love my new bed layout! 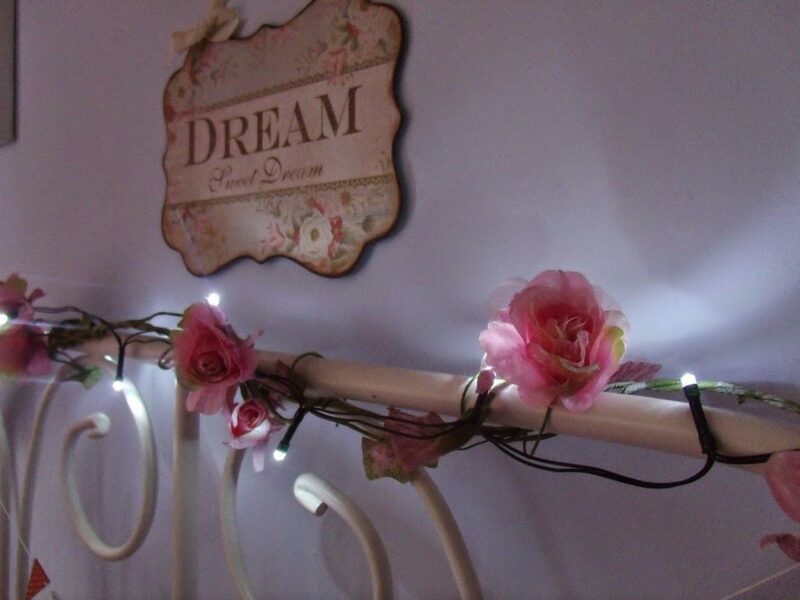 I put some Poundland fairylights around my headboard on my bead which look so lovely when they’re all lit up. 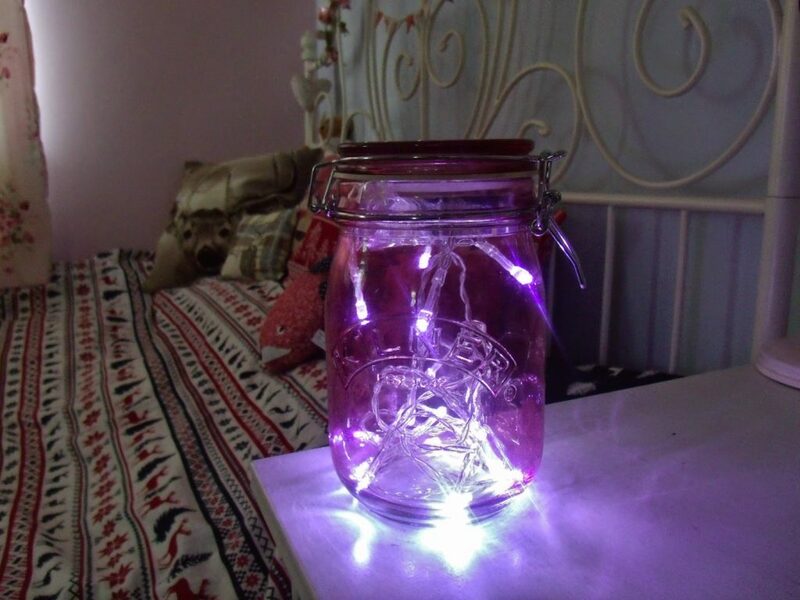 I also used some Poundland fairylights to make this light up jar. It’s a really nice feature as it glows all around my room. The jar is a big pink Kilner one and the lights are battery operated so I sellotaped the battery pack to the lid so you can’t see them. 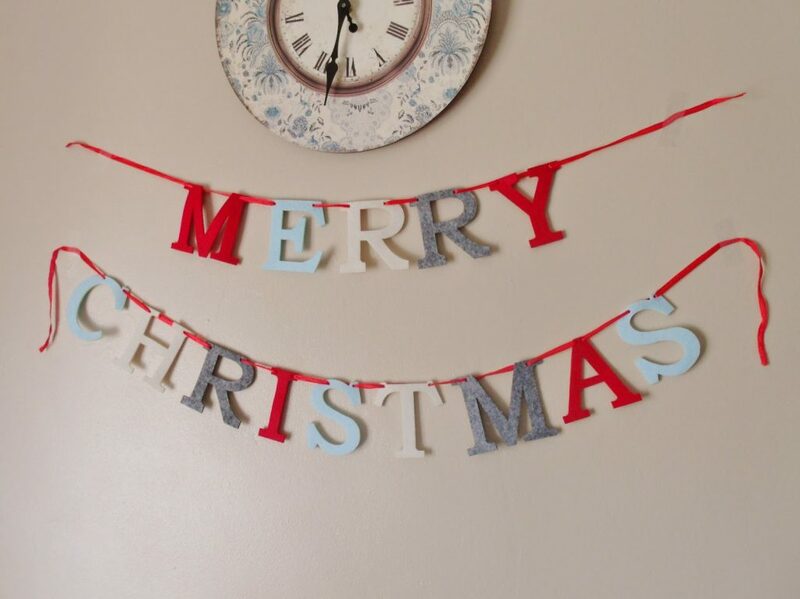 This felt Merry Christmas garland is from Poundland and I’ve hung it up in our dining room. I love this little table we have in our dining room. 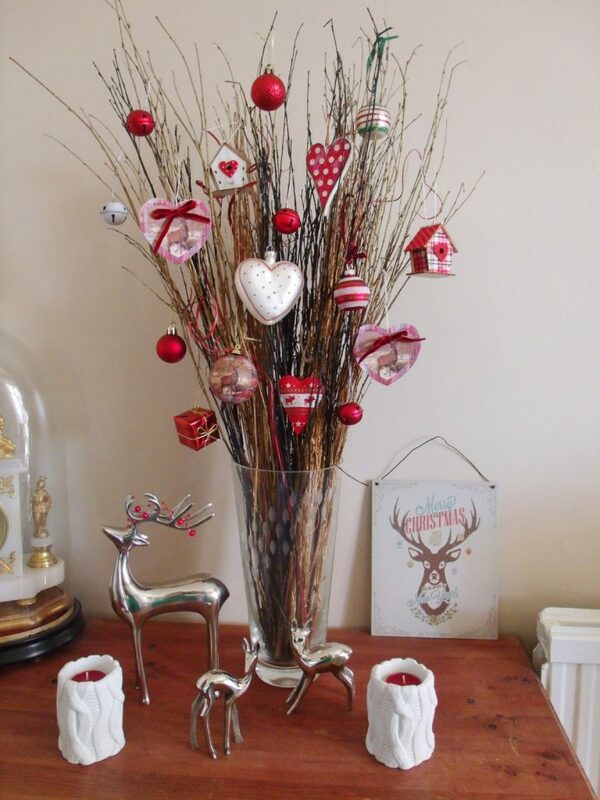 I’ve decorated it using a vase of old twigs and turned it into a mini Christmas tree. 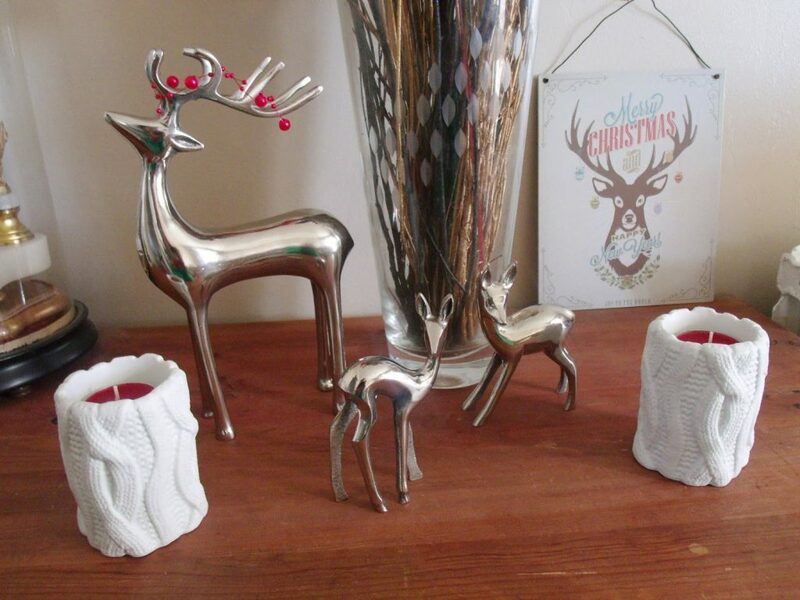 I’ve also put some nice knitted ceramic candles on the table, and my family of metal reindeer. Don’t they look cute! 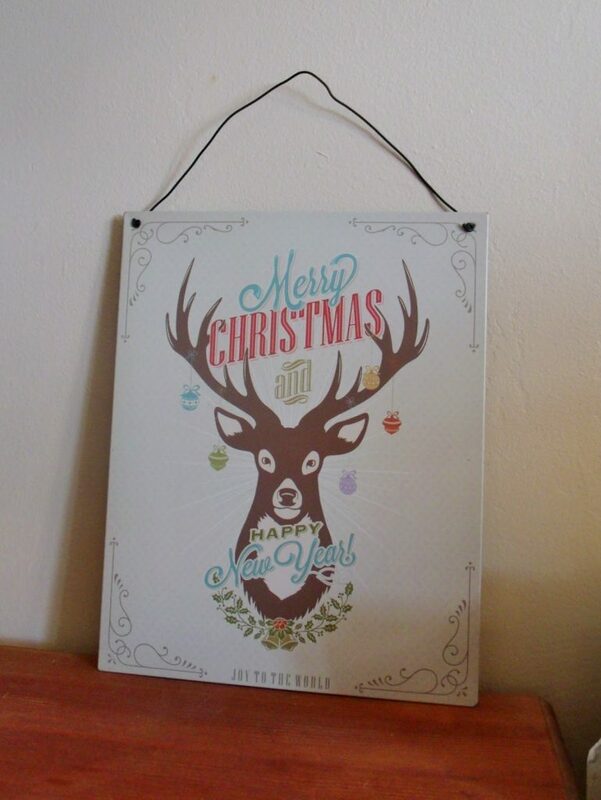 This little sign was only £1.49 from Home Bargains. 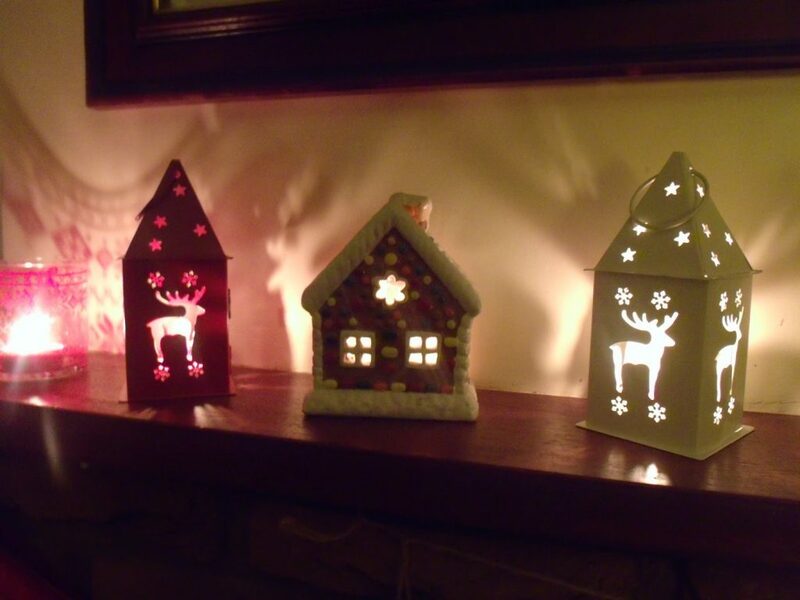 We have quite a few little Christmassy nik-naks on our mantlepiece, including a cute little tealight cottage which was from Poundland a few years ago, as well as some reindeer tealight holders from Dunelm. 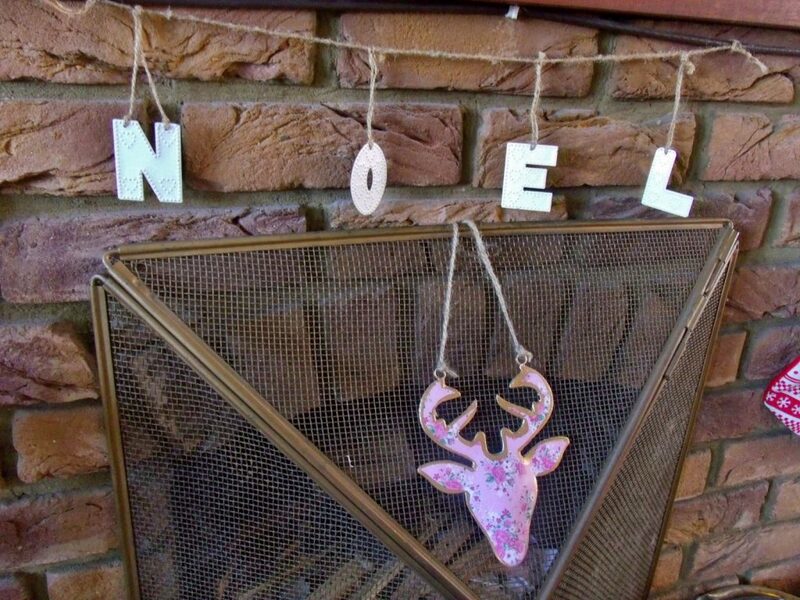 The Noel garland is old from DotComGiftShop and the floral pink reindeer head is from Flamingo Gifts. So cute!! 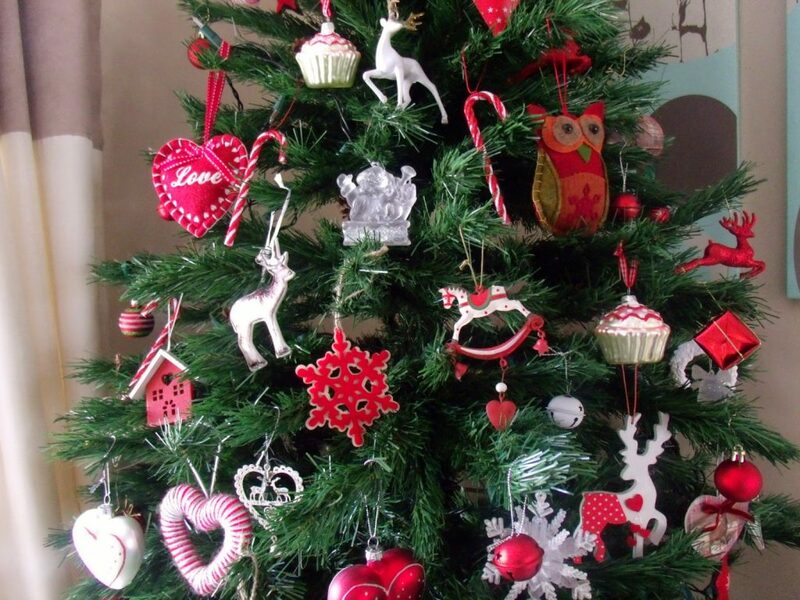 I love the little deer and your tree! Everything looks so gorgeous! 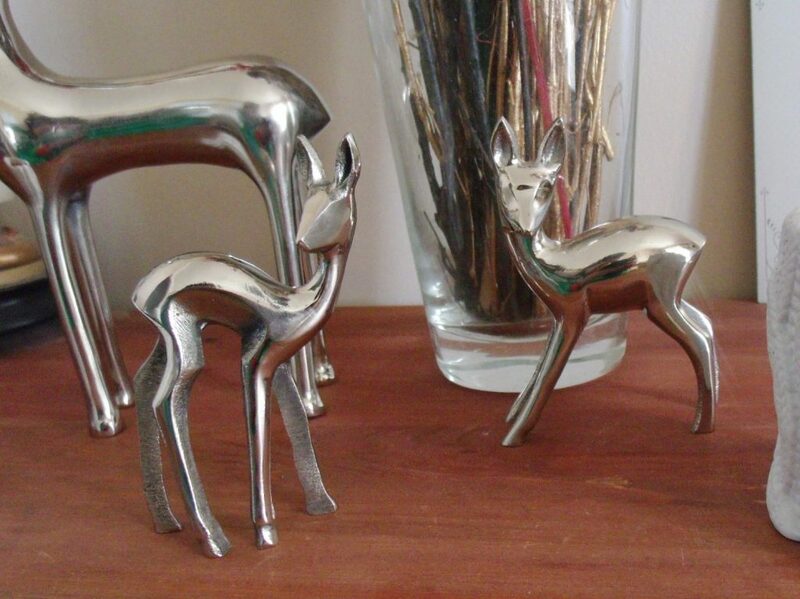 I love those little reindeer tea light holders, they are so cute! 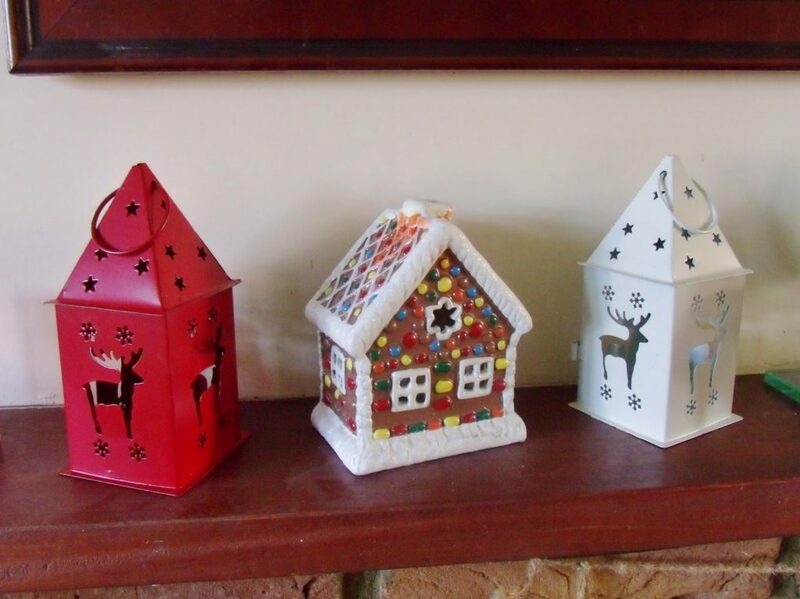 Your home looks so pretty! 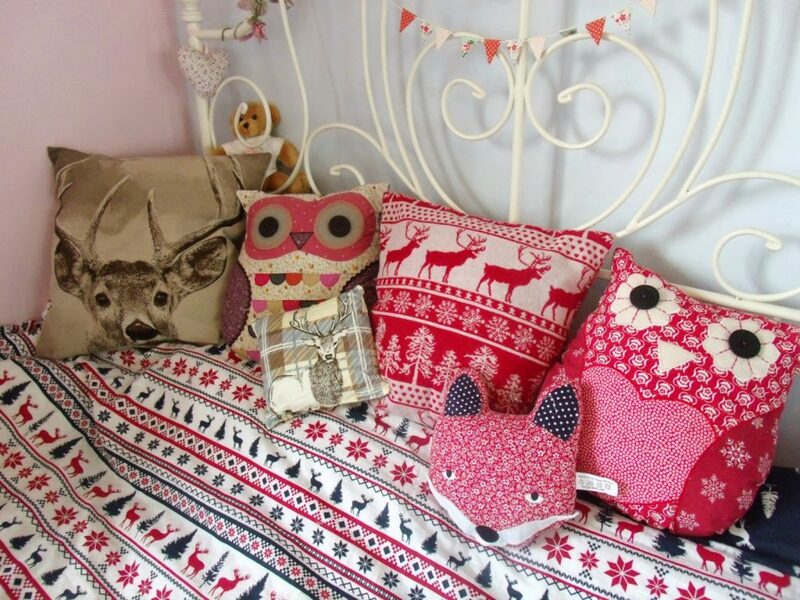 I love those owl cushions. 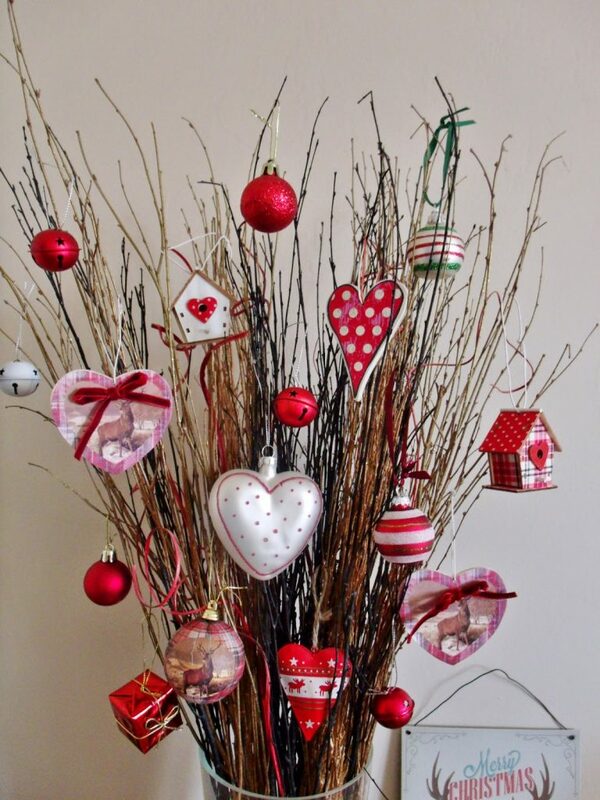 Your tree is lovely! 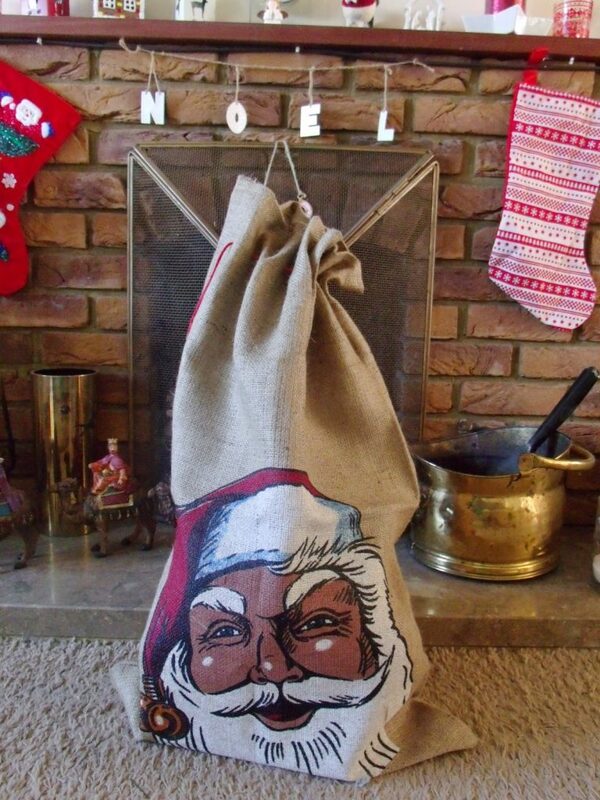 and the santa sack is so cute!